If you have a bit of a green thumb and are looking for a reasonably easy way to earn an extra income you may want to take a close look at this. Gourmet mushrooms are very popular and continue to be in demand. If you are semi-retired or about to retire, this is a true cash crop. In particular, I’m fond of the way in which oyster mushrooms can turn into a good source of income without taking a very long time. 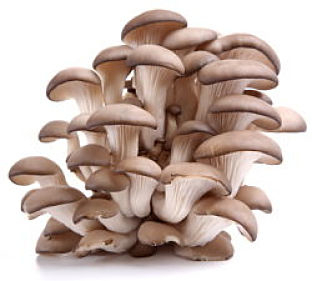 The reason why I’m suggesting oyster mushrooms is that they can be grown indoors, any time of the year and take no more time than six weeks from start to harvest. The return is quite high as well. For example, oyster mushrooms are selling at $12 per pound at the time of this writing. If you had a 500 square foot growing area, such as a shed, garage or basement, you could potentially produce several thousand pounds of mushrooms in a single year. At $12 a pound, that’s a great income for such a small area, and indoors as well, so growing is possible 12 months a year. Talk about a nice bit of spare change to sock away during retirement! So let’s look at how you can turn a few hours a week into a mushroom growing business with high profits. First, you’ll need to set up your growing area. If you have access to a large indoor area that’s great. Most commercial growers use plastic bags filled with sterile straw, so you’ll need storage racks for the bags, a source of water, heat and light. In order to produce a perfect crop of oyster mushrooms you’ll need to be able to control some of the conditions in the growing room to artificially assist with your crop. Things you’ll want to take care of include temperature control, humidity control and lighting conditions. All of these elements play important roles in what kind of crop you will end up with at harvest time. Also, in order to have crops reaching harvest time on a regular basis, you’ll want to stagger the planting of each. That is to say that if you have your growing area sectioned off, have each section planted at different times so that at the end of the six week ‘start to harvest cycle’ you will have a crop ready to pick every week. Let’s say your first crop is ready for harvest. There are three ways in which you can turn those bins of mushroom into cash. One of my favorite places to sell fresh produce is at a farmer’s market. If you live in a community that hosts one of these during growing season, find out what it takes to set up a table or booth at one and sell directly to customers. Farmer’s markets draw a lot of growers together and are a magnet for those who want to buy the freshest local produce straight from a grower rather than through a grocery store. Another place to sell your gourmet mushrooms is in restaurants. As they are considered ‘gourmet’ mushrooms, there is a demand for them in many restaurants to be included on menu items. Take samples of your mushrooms to restaurant owners and you may find a number of them willing to buy directly from you instead of a regional distributor. One more option is to approach local grocery stores. While many are set up to import produce from different parts of the country and world when that produce isn’t readily available in the local market, you may find an opening your gourmet mushrooms can fill, especially now that “buy local” is so popular with shoppers. One grocery store may lead to others as well. Regardless of where you sell your gourmet mushrooms, you will need to keep in mind that they must be fresh in order to retain resale value, so selling them quickly after harvest is best. What you may find is that you could end up with a number of buyers pre-ordering mushrooms from you and taking delivery as soon as they are harvested. 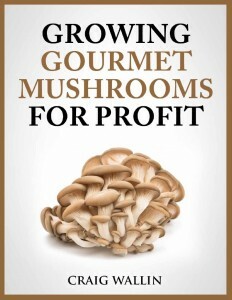 Visit www.profitableplantsdigest.com for more details on how to turn mushroom growing into a good paying part-time, or full-time, income.